You’re tired of your house looking like all the others in the block. Tired of people missing your house when they visit because it looks like all the others in your neighborhood. Want to make your home stand out? Below are 7 easy fixes that will make your home look uniquely you! Your front door is the first thing people focus on when they visit your home. You can spruce up the door you already have by painting it a color you find warm and welcoming. Or you can buy a custom door from your nearest home improvement store or order one online. If you’re really into DIY, you can buy an old door from a junk yard or antique dealer and give it new life! Older doors tend to be thicker and sturdier. You can re-stain the door in any hue you like, or paint it a cheery color. And if you just want a simple addition? Add a distinctive door knocker. Ditch the builder-grade lights. Lighting the exterior of your home can do so much more than help you and others see when it’s dark. Think of lighting as another way to up your curb appeal. You can head to the home improvement store and find flush mount lights, wall mount lights, pendants even string lights for the outside of your home. Or you can order online. There is lighting to match your style of home, from Victorian to Craftsman to 20th Mid-Century Modern. 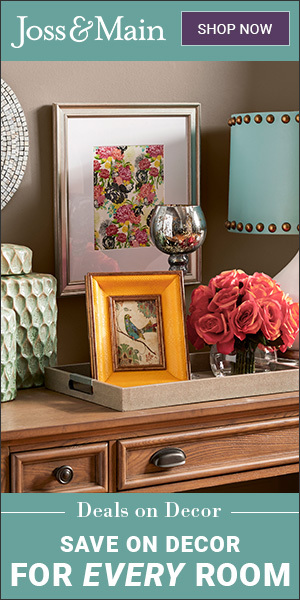 Or, if you have a more eclectic sensibility, mix and match to your heart’s content. And don’t forget landscape lighting. It too can be a stylish way to not only light the path to your front door, but also highlight your unique abode. Do people have a hard time seeing your house number from the street? Unfortunately, you’re not alone. But you have many options to choose from. If you have an older home, or like that look, you can have a customized plaque made. It can just feature your house number or include your street name too. Or you can buy individual numbers and letters made from a variety of materials including ceramic, copper, bronze and nickel. They also come in a variety of styles including Rustic, Early American, Art Deco and Modern. You can even buy illuminated ones, some lit by solar-power. Just be sure to place your new numbers where people can actually see them. Want to freshen up the color of your house without painting the entire building? Slap a fresh coat of paint on the trim. The right color trim can really make your home stand out. You can choose a more traditional color or pick a shade that really speaks to you. You can use shades that are lighter or darker than the main color of your home. Or you can a contrasting shade. You can also pick colors that compliment or contrast with your landscape. You rarely see window boxes anymore, which is why adding them will help people notice your home. They are easy to install. You can build your own wooden boxes, or you can choose ones made of everything from fiberglass to wrought iron. They provide a quick way to indulge your green-thumb, particularly if you do not have space for, or want, a garden. And you can update them with little effort all-year long. Just imagine how the pops of natural color will look against your home. Since you have to update your roof as part of home maintenance, why not do it in a stylish way? You can make your home look brand new with the shingles you choose. Of course, there are many factors to consider besides the shingles’ appearance. Cost, durability, temperature tolerance, how the shingles react to moisture or dry conditions are just some of the things you need to think about. You may also want to consider if you want natural wood shingles or composite ones. The wood ones — cedar, teak and wallaba — all have specific looks and advantages. Consider these if your aesthetic can only be satisfied by natural materials. Composite shingles are made artificially, but they do contain most of the qualities of wood shingles. And, unlike wood shingles, they maintain their color over time. Moldings are not just for the interior of your home. By adding the architectural elements that exterior moldings provide, you can make your home look custom-built. Choose moldings that match the style of your house. Crown moldings, dentil moldings, corbels, brackets, moldings that surround front doors and windows are just some of the exterior options available. Besides wood, they also come in easy to use, durable man-made materials.